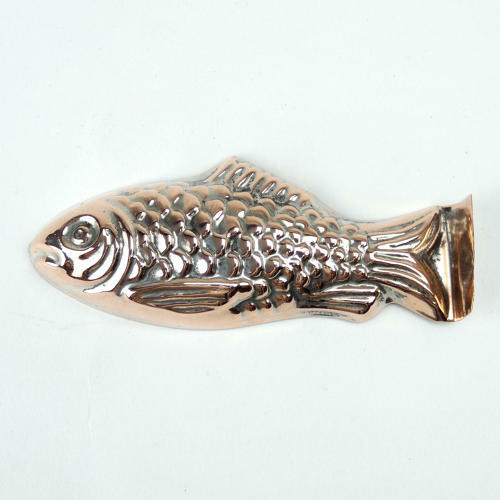 A miniature copper mould in the shape of a fish. This mould doesn't have any manufacturers marks and it dates from c.1910. It is made from quite a light gauge of copper but it is very well detailed. The foot of the mould is turned so that it lays flat when it is being filled.Originally it would have been tinned all over but the tin has mostly been removed from the exterior to reveal the copper beneath. It is in excellent condition and the tinning, to the interior, is still in good, usable condition.